Perhaps the most famous shopping boulevard in the world, Champs-Elysees contains some of the most prestigious stores and cafes in Paris. While walking among the gardens and tree-lined promenades, you may encounter an open-air marionette theatre for children, a French tradition popular through the ages. You'll see several monuments as you stroll along the street, including the Obelisk of Luxor and the Arc de Triomphe. The lower part is bordered by greenery, while further west you'll find cinemas, cafes, restaurants, and luxury specialty shops. 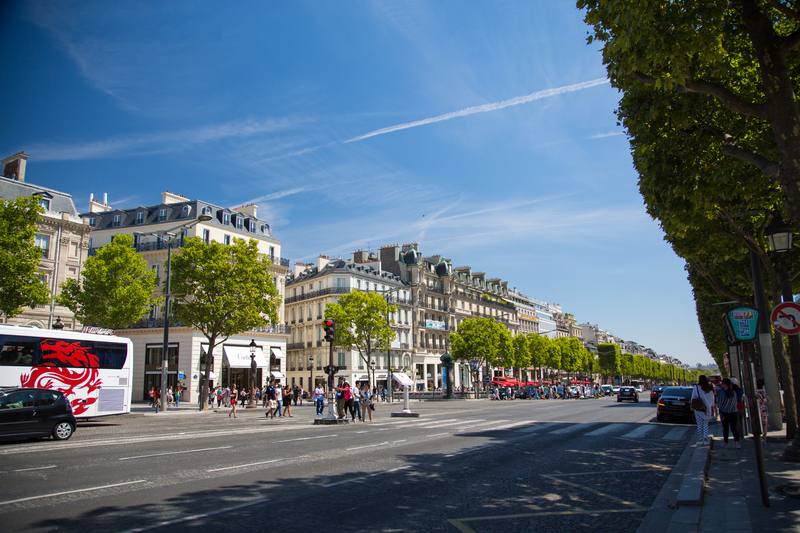 Put Champs-Elysees into our Paris attractions tool to see other points of interest to visit during your vacation in Paris. 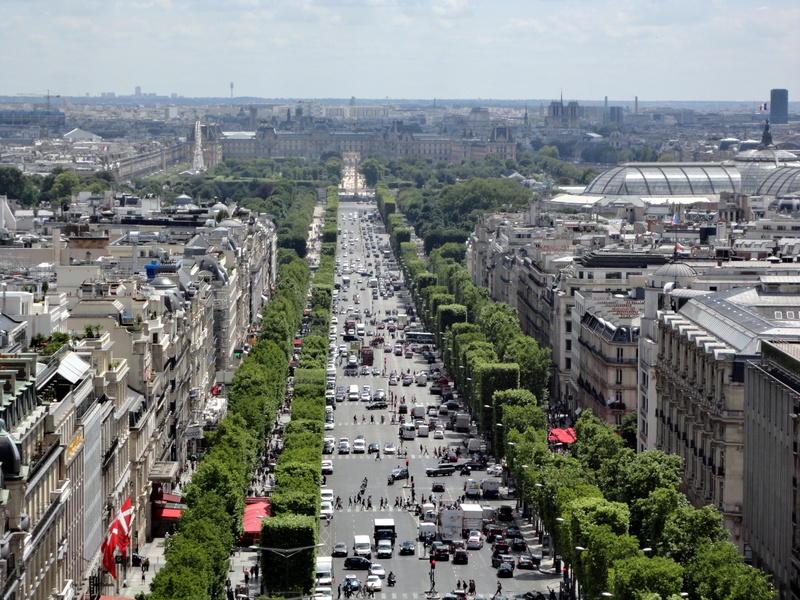 Large Avenue with 1.9 km length and 70 m wide, from Charles de Gaulle Square to Concorde Square! It Has department stores, cinemas, cafés, restaurants, typical trees on both sides (decorated with Christmas lights) and in it they become military parades. It's the most famous avenue in the world! We We walked it all the way to the Arch! Due to the Protests of the Yellow Vests, which unfortunately have smashed in a lot of Window Panes, most Stores are completely barricaded at the Moment. Except Wooden Panels in front of the Shop Windows, you can see destroyed the Facades and Windows. Too bad that some are so damaging to each other. Not worth seeing At the Moment. Every day, we help thousands of travelers plan great vacations. Here are some tips on how to use your Listing Page to attract more travelers to your business - Champs-Elysees. Promote your permanent link - https://www.inspirock.com/france/paris/champs-elysees-a97972249 - on your website, your blog, and social media. 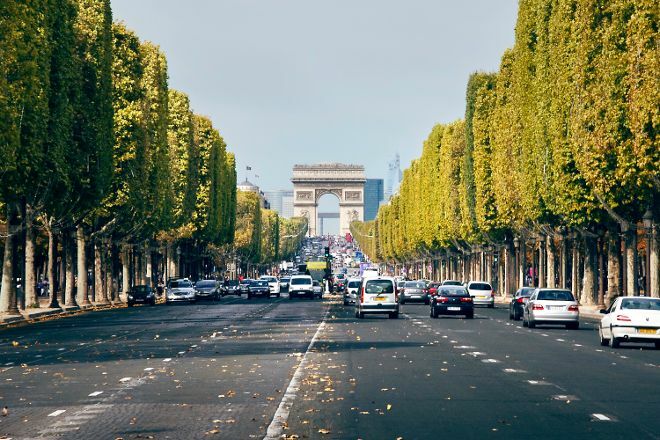 When a traveler builds a plan from this page, the itinerary automatically includes Champs-Elysees. This is a great way for travelers looking for a great vacation in your city or country to also experience Champs-Elysees. Promoting your link also lets your audience know that you are featured on a rapidly growing travel site. In addition, the more this page is used, the more we will promote Champs-Elysees to other Inspirock users. For best results, use the customized Trip Planning Widget for Champs-Elysees on your website. It has all the advantages mentioned above, plus users to your site can conveniently access it directly on your site. Visitors to your site will appreciate you offering them help with planning their vacation. Setting this up takes just a few minutes - Click here for instructions.